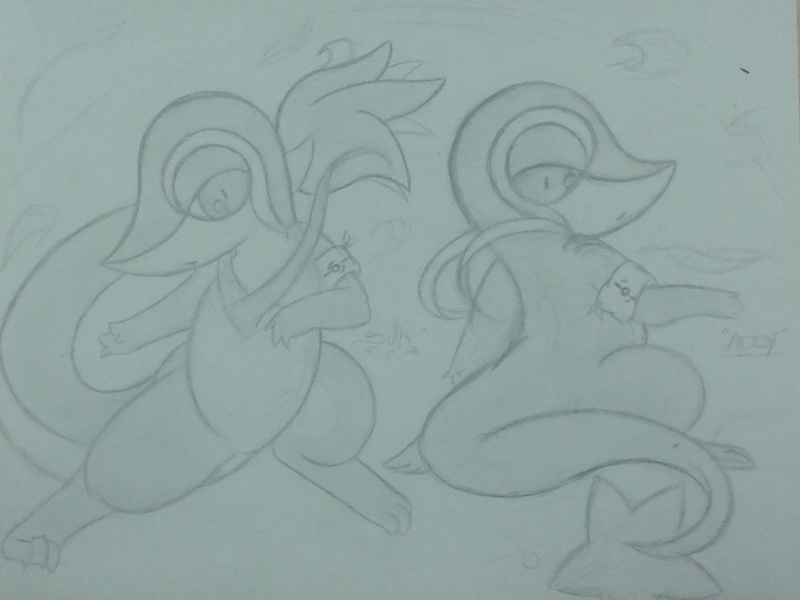 "Sully" and "Addy", of a set of Snivy Triplets. :3 I didn't like the original Snivy anatomy, so I revamped it. i love this body style, it works really well for snivy, better then the traditional look. can we get a tutorial on this type of anatomy? and maybe see a revamp of the servine stage?